Johnstons of Elgin's gloves are perfect for keeping hands cozy while waiting for your car to warm up or walking to the train. 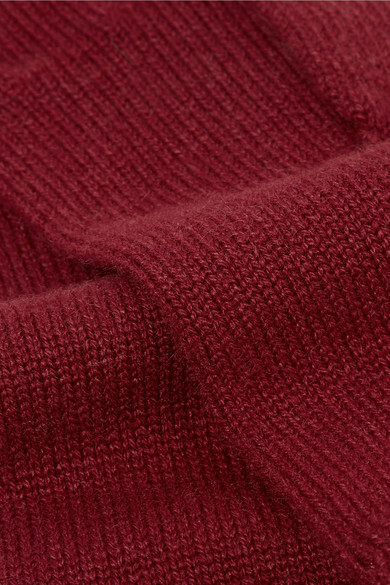 They're knitted from the label's premium cashmere and have ribbed cuffs to keep the cold out. The pretty burgundy hue will go with just about everything, but our favorite pairing is monochrome checks. 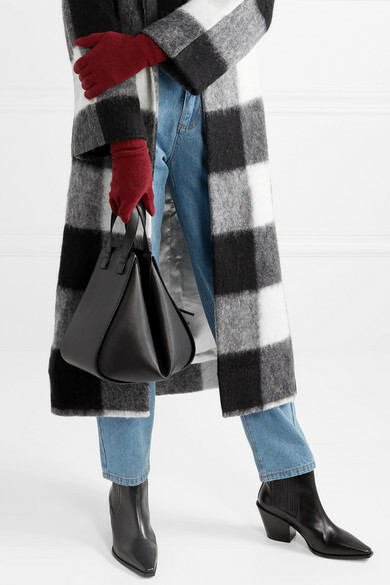 Shown here with: Off-White Hoodie, L.F.Markey Jeans, GANNI Coat, Loewe Shoulder bag, aeydē Ankle boots, Sophie Buhai Earrings.